A Study in Scarlet is a detective mystery novel written by Sir Arthur Conan Doyle, introducing his new characters, "consulting detective" Sherlock Holmes and his friend and chronicler, Dr. John Watson, who later became two of the most famous characters in literature. Conan Doyle wrote the story in 1886, and it was published the following year. 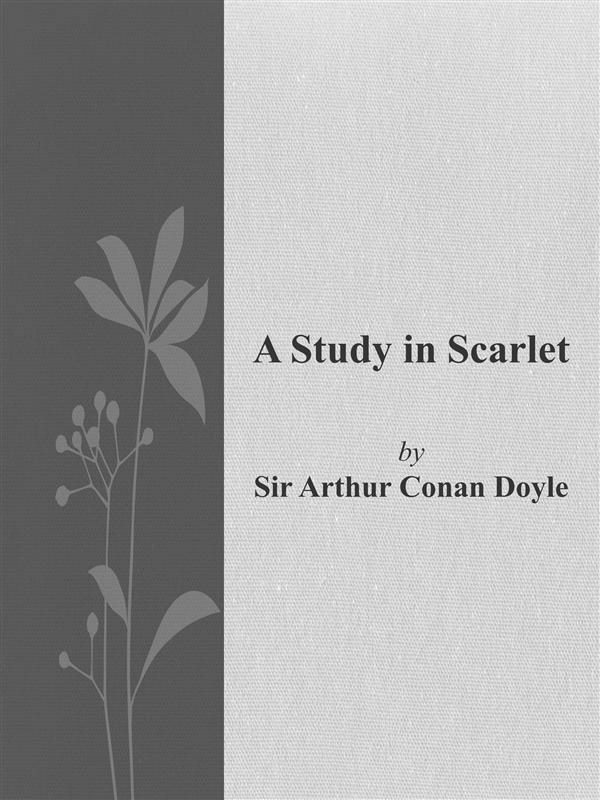 The book's title derives from a speech given by Holmes to Doctor Watson on the nature of his work, in which he describes the story's murder investigation as his "study in scarlet": "There's the scarlet thread of murder running through the colourless skein of life, and our duty is to unravel it, and isolate it, and expose every inch of it. "(A "study" is a preliminary drawing, sketch or painting done in preparation for a finished piece.) The story, and its main characters, attracted little public interest when it first appeared. Only 11 complete copies of the magazine in which the story first appeared,Beeton's Christmas Annual for 1887, are known to exist now and they have considerable value.Although Conan Doyle wrote 56 short stories featuring Holmes, A Study in Scarlet is one of only four full-length novels in the original canon. The novel was followed by The Sign of the Four, published in 1890. A Study in Scarlet was the first work of detective fiction to incorporate the magnifying glass as an investigative tool.